We’re less than two weeks from The Main Event on Wednesday, February 15 at the Hilton Miami Downtown and the excitement is building! Grammy Award-winning violinist Miri Ben-Ari can't wait to perform for us, and she even recorded a special video message. Chaired by Colleen and Richard Fain, The Main Event is the Greater Miami Jewish Federation’s largest event, bringing together donors from across our community to support a lifeline of services in Miami, in Israel and around the world. 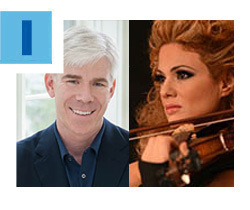 David Gregory, renowned journalist, political analyst on CNN and former moderator of NBC’s Meet the Press, will speak about topics of importance to today’s Jewish community. Click here for details and to RSVP. Federation is thrilled to announce the birth of the very first Making Miracle Babies (MMB) Fertility Fund baby. Since 2014, Federation and the Hebrew Free Loan Association (HFLA) of South Florida have worked together to support this innovative loan fund, started by Michelle and Matan Ben-Aviv, in honor of their son. 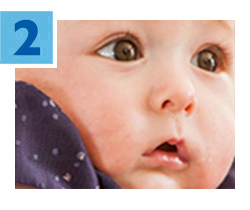 MMB encourages South Florida Jewish couples with fertility obstacles to pursue parenthood via In Vitro Fertilization. Thanks to a generous donation from Reggie and Jeff Goldstein, whose son and daughter were adopted, the fund also includes interest-free loans for adoption. Mazel tov to the new arrival’s parents, family and friends, as well as to all those involved in making these parents’ dreams a reality! Read more. In response to emerging needs within the local Jewish community, Federation has approved a series of incubator grants that will distribute $50,000 to 11 local organizations. 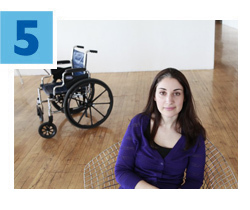 Intended to support new and creative social service, educational and identity-building programs, Federation’s Jewish Incubator Grants Committee, chaired by Elizabeth Schwartz and Bruce Kohrman, distributed these funds to organizations whose programming responds to issues identified by the 2014 Greater Miami Jewish Federation Population Study. A special allocation from The Foundation of the Greater Miami Jewish Federation provided funding for this year’s grants. For more information on the grants and a list of recipients, click here. Hillel International recently chose University of Miami Hillel to participate in the pilot cohort of its Excellence Accelerator. 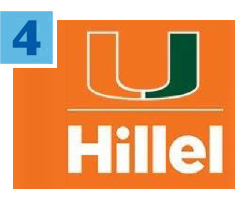 UM Hillel is one of seven Florida Hillels the Annual Federation/UJA Campaign supports. Involving only 10 Hillels across the country, the initiative, a key component of Hillel’s Drive to Excellence Strategic Plan, helps local Hillels increase their operational capacity and support the organization’s pursuit of excellence. February is Jewish Disability Awareness & Inclusion Month (JDAIM), and Federation advocated on legislation in Washington, D.C. and has partnered with local organizations to present a number of meaningful events throughout the month. Many who live with disabilities, and their loved ones, still don’t have access to equal opportunities to engage in Jewish life. Over the past eight years, JDAIM has become a nationally supported effort to discover new, dynamic and interactive ways to develop insight and understanding about individuals with special needs and explore meaningful inclusion practices. Local activities include a Shabbat service in American Sign Language, a bike ride through the Keys, an educational canoeing trip, and much more. For more details, click here. Make sure you receive email updates from the Greater Miami Jewish Federation. Add information@jewishmiami.org to your approved senders list. This email was sent to: nstern@gmjf.org. 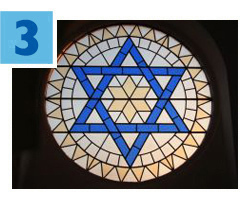 Click here to unsubscribe from email sent by the Greater Miami Jewish Federation. A copy of the official registration and financial information may be obtained from the Division of Consumer Services or by calling toll-free 800-435-7352 within the state. Registration does not imply endorsement, approval or recommendation by the state. CH 435. 100% of each contribution is used to carry out the Mission of the Greater Miami Jewish Federation.